Have students analyze possible careers. Students can think about possible careers and whether or not they have the spscific skills necessary to be successful in that specific career. 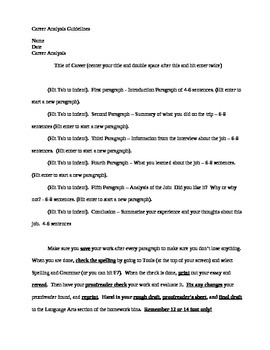 This is a guide to help students type an analysis with reminders about formatting.